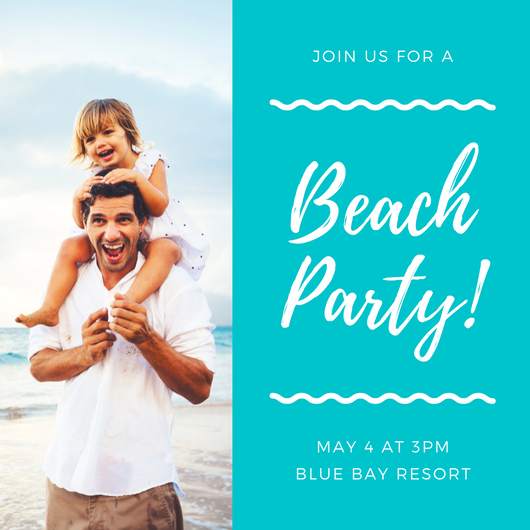 Summer is here, and beach parties are all the rage! 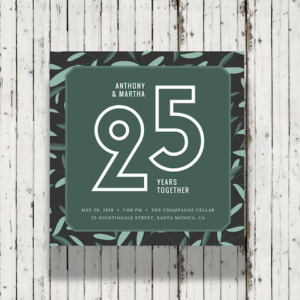 With everything from party favors to food ideas, our collection of fantastic imagery and designs has everything you need to throw an unforgettable summer celebration. 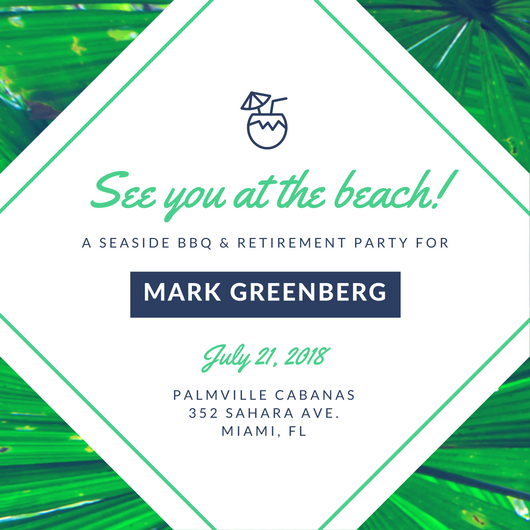 Your beach party calls for an excellent invite, poster, or flyer to gather your guests. 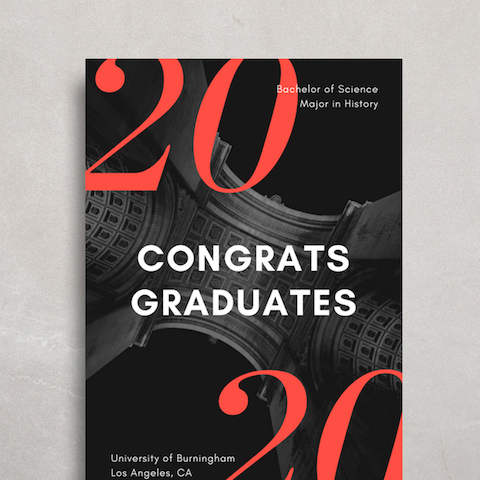 Browse through our selection of professionally-designed templates and designs to spread the word about your upcoming festivities! 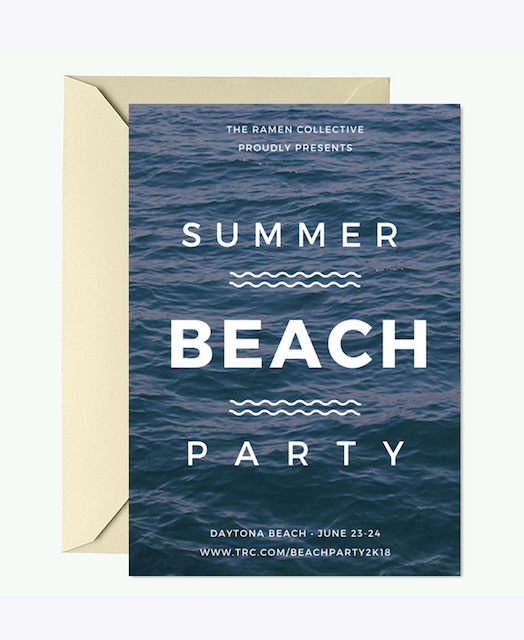 Get inspired to throw an epic beach party with our collection of excellent imagery and designs. From easy handmade crafts to festive party decor, these awesome ideas will make your celebration leave a long lasting impression on your guests! 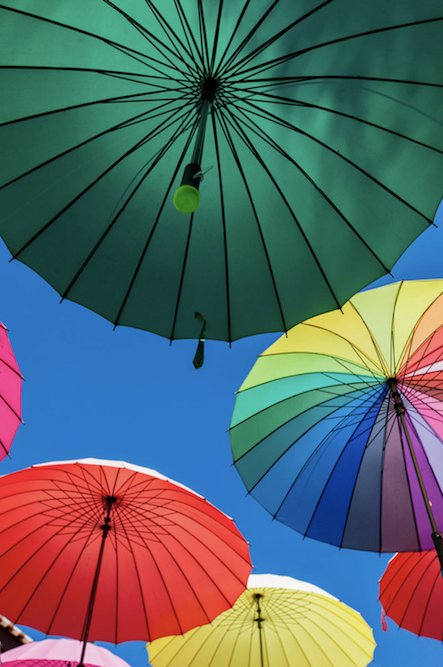 Make your beach party one to remember with a vibrant display of brightly-colored umbrellas! Perfect for a photoshoot and decoration, this easy-to-make display will definitely delight your guests. 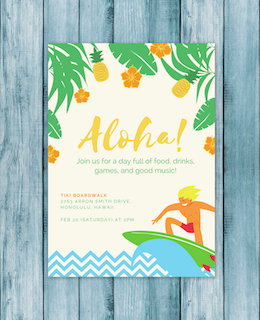 Enjoy a day of sun with your family and friends using this tropical-inspired invitation! This design is adorned with illustrations of flowers, leaves, and a surfer riding waves, making it the ideal invite for your summer fête. 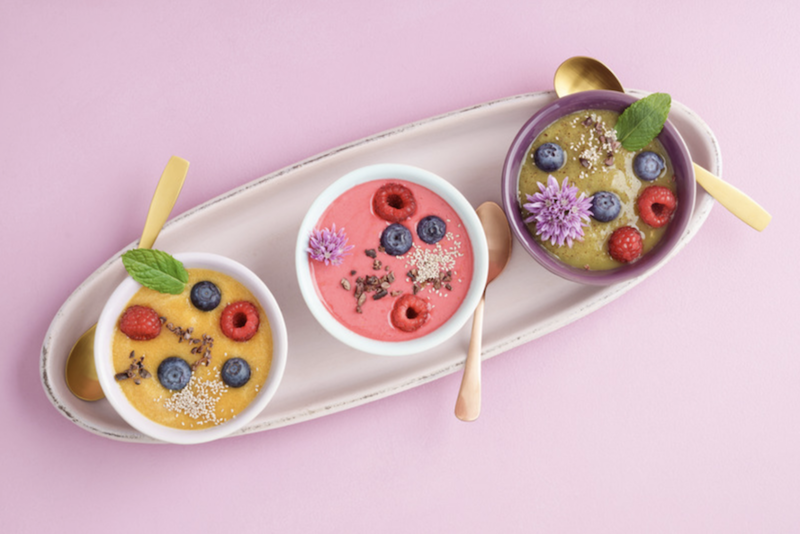 Give your guests a taste of tropical island paradise with fresh servings of deliciously healthy smoothie bowls! Then, top them with mint leaves, cacao nibs, and berries for added flavor. 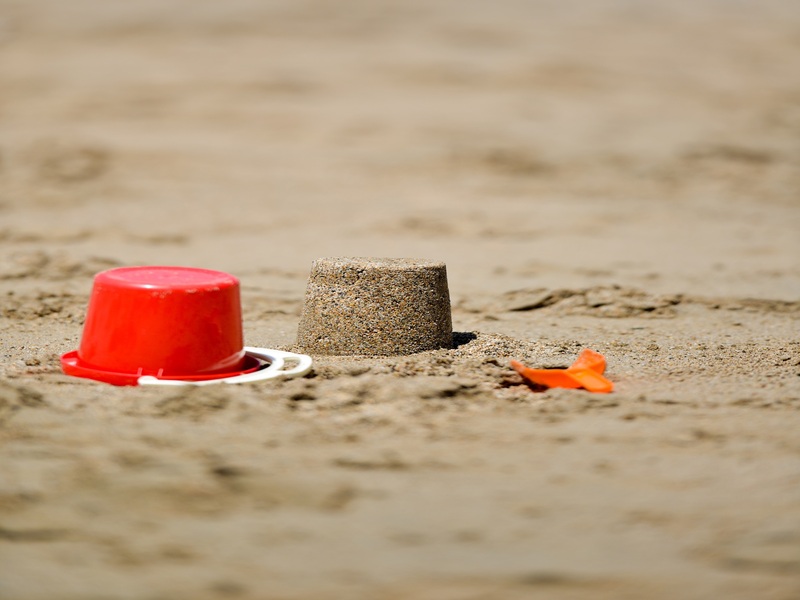 Kids and adults alike will enjoy your beach party even more when you have buckets, shovels, and other tools to let them build the perfect sandcastle! 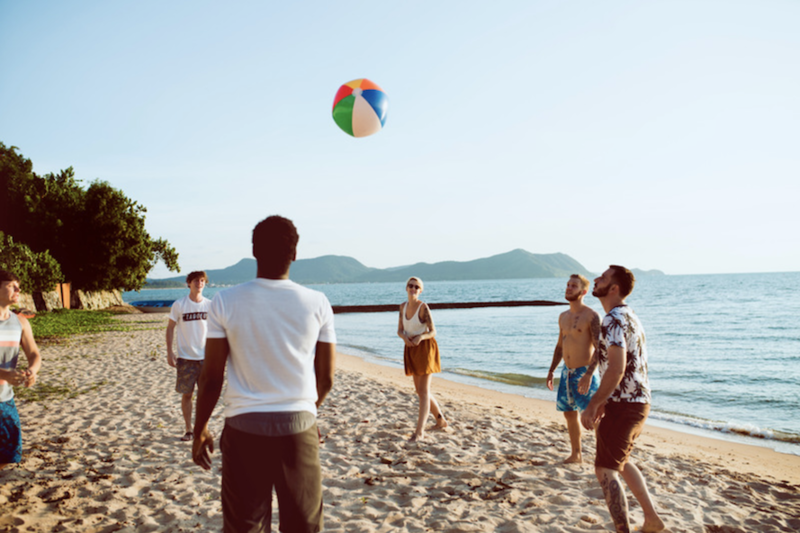 Nothing beats a fun game of ball when you’re at the beach with your family and friends! From beach volleyball to frisbee golf, exciting games and activities will definitely liven up your party. 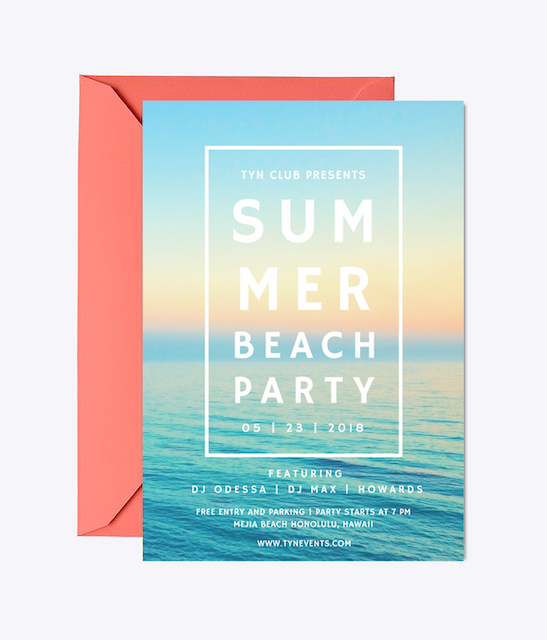 You’re going to need an eye-catching flyer to bring in a huge crowd to your summer beach party! Send out this simple design that features tropical leaves in vibrant yellow and soothing blue green hues. Be confident as you show off your beach body with your favorite swimsuit! If you wish, you can elevate your look by wearing a lovely makeup look and popping on some dainty accessories. Festive sparklers are the next best thing to mesmerizing fireworks. 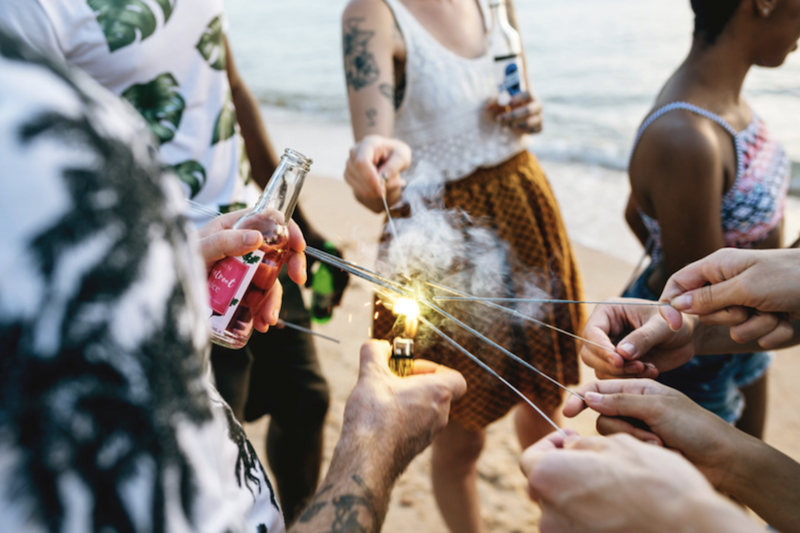 Light them up with your guests at your beach party to create the perfect celebratory mood! Adorn your party venue with easy handmade crafts to elevate the beach vibes! 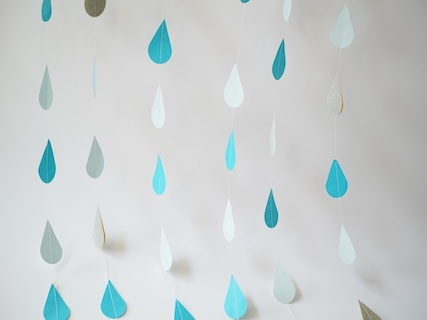 Cut out blue construction paper in teardrop shapes and tape it to white string to recreate this artsy decor. 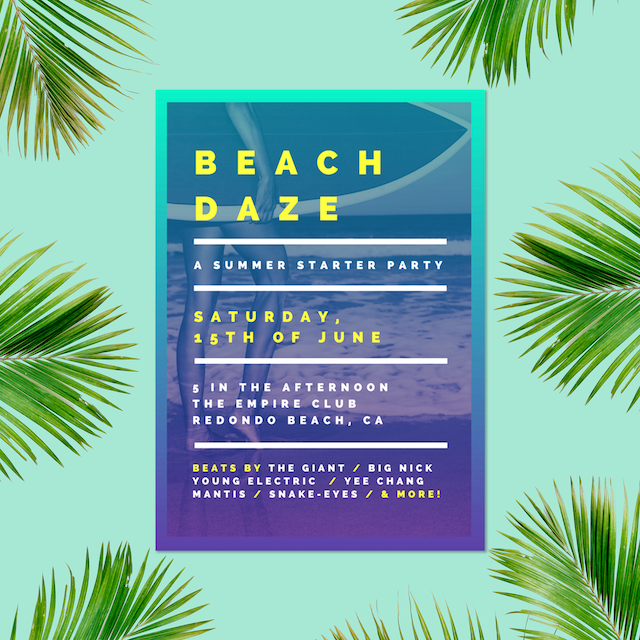 Grab your sandals and get ready to throw the best beach party in town! 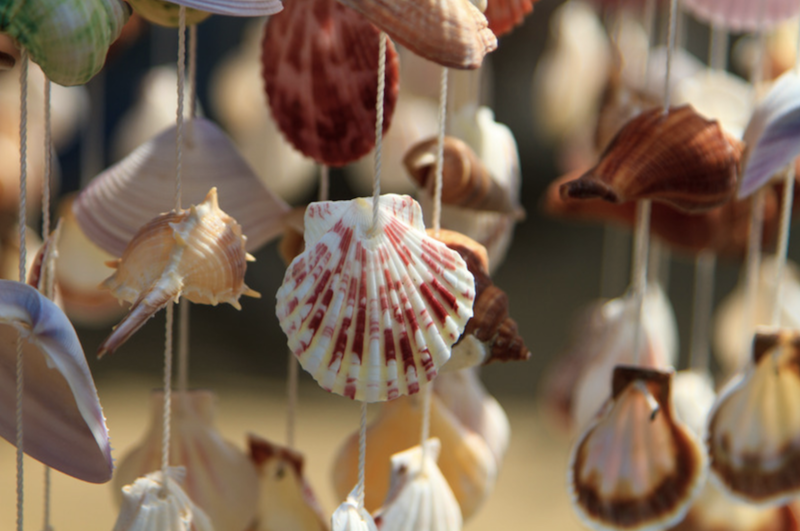 With just an assortment of pretty seashells, you can easily create a beachside atmosphere to your summer fête. Nothing beats a flyer that’s as visually appealing as this one! 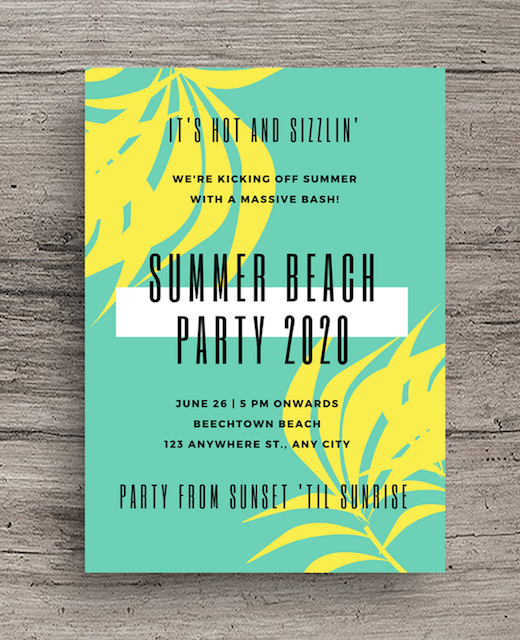 Perfect for your beach party, this design uniquely captures the feel of summer with its grainy photo, cool gradient effect, and punchy color scheme. 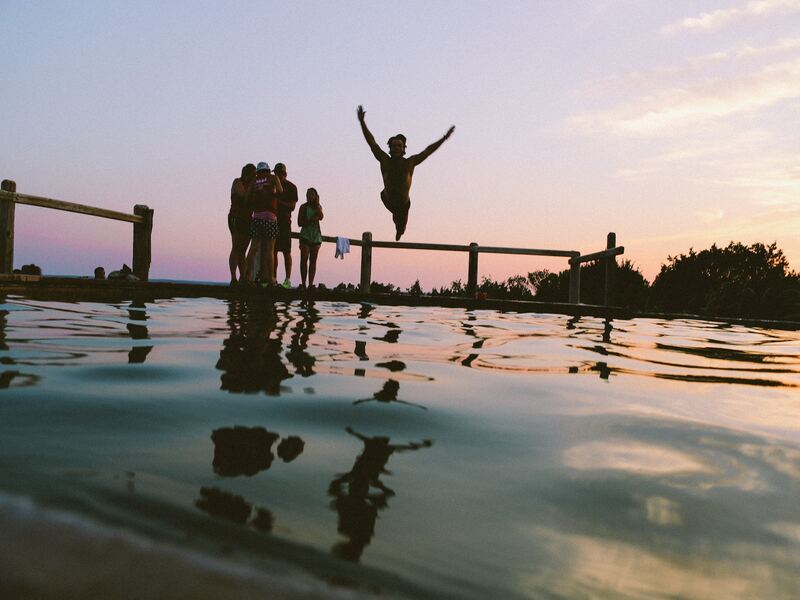 End your beach party on a high note by going on a swim with your family and friends. Wave away the summer heat and dare everyone to dive into the water with you! 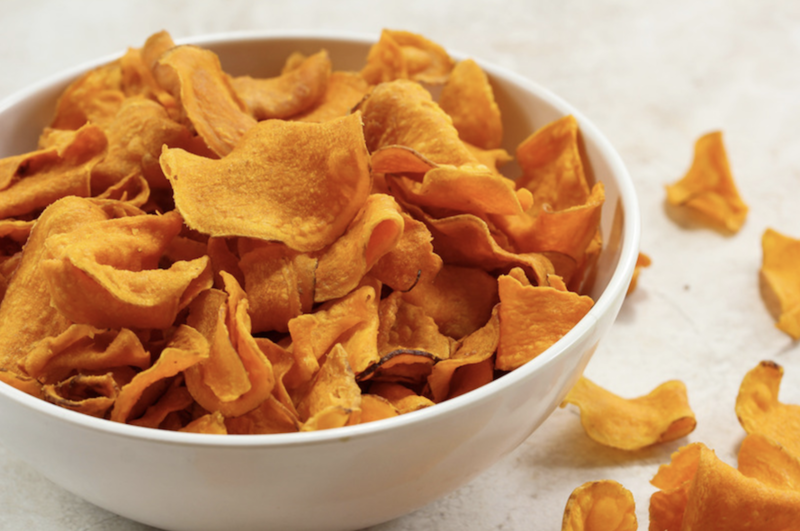 Baked sweet potato chips will make for an easy and tasty snack at your beach party! Serve up bowls of these crunchy goodies to satisfy your party guests. Give everyone a taste of summer with this fantastic flyer! 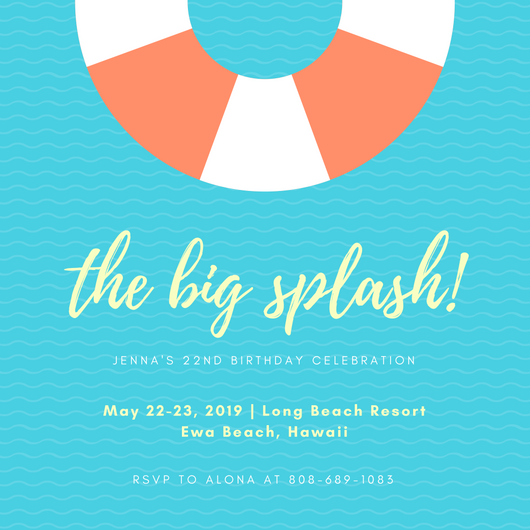 With its eye-popping layout, cheery color scheme, and striking photo, this design is bound to make everyone mark their calendars for your upcoming beach party. Set a gorgeous table setting by opting for neutral colors, like white, cream, and brown. 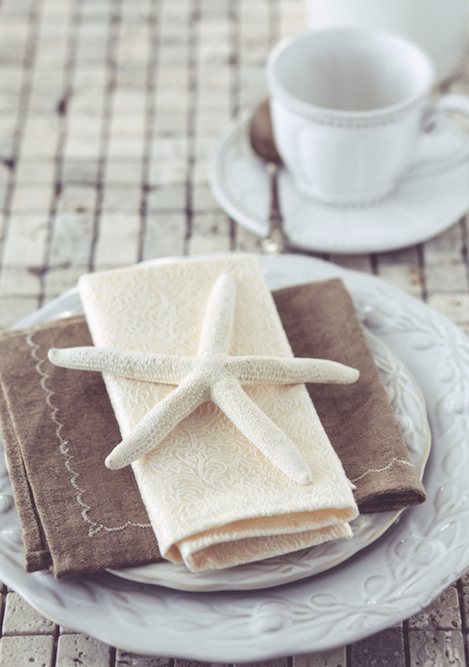 Then, throw in a subtle touch of beachy ambience with a white starfish decor on top! 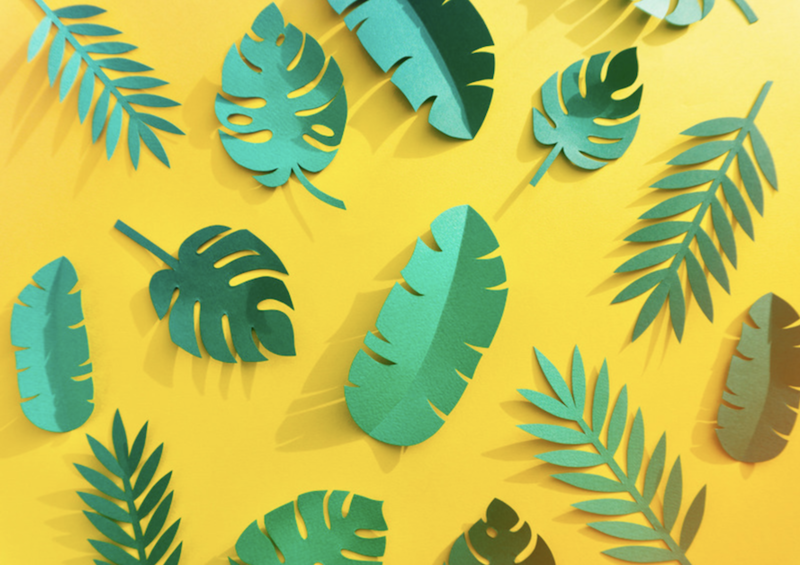 If you’re all for handmade crafts and decor, then you’ll love the idea of taking green construction paper and cutting out different tropical-looking leaves! Stand out at your beach party with a stylish summer outfit of your choice! 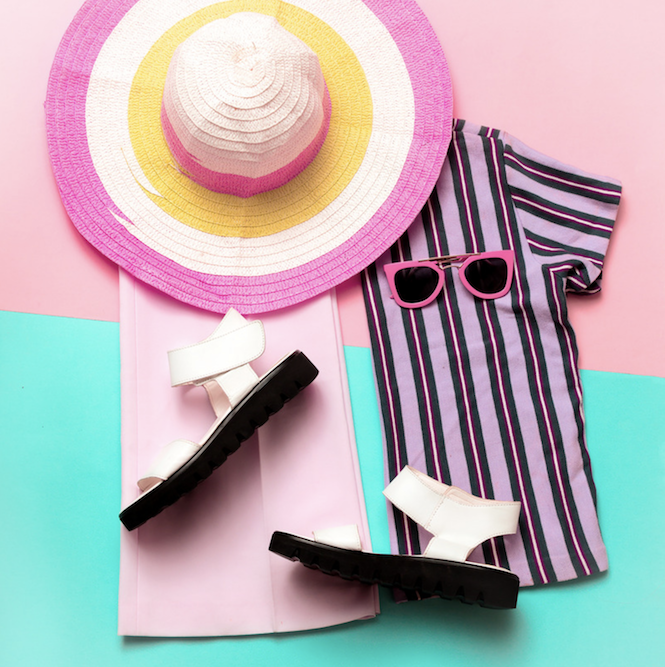 Complete the look with a vibrant sun hat, a favorite pair of sunnies, and comfy sandals. 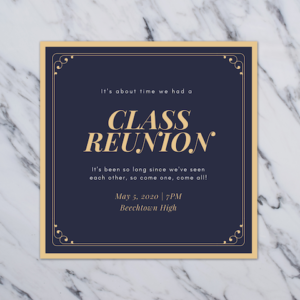 Hand out this modern flyer and you’ll definitely get a huge turn-out at your party! The crisp white color of the text creates a striking contrast with the dark blue hue of the background photo of waves. 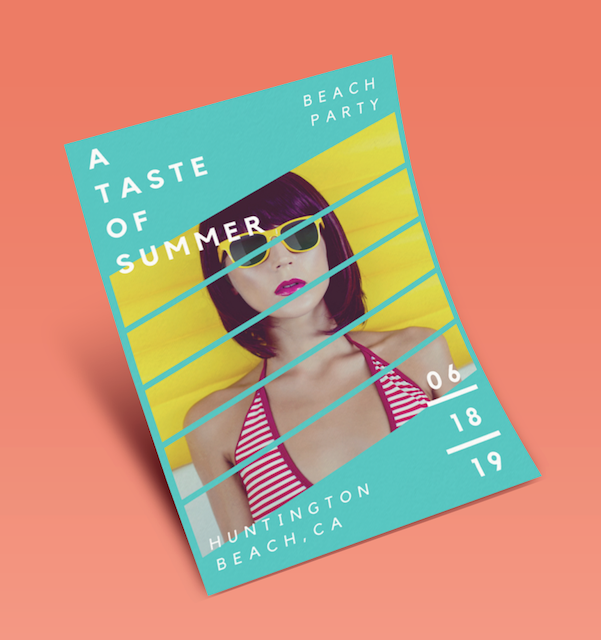 Set the scene for an amazing beach party with this beautifully-designed flyer. 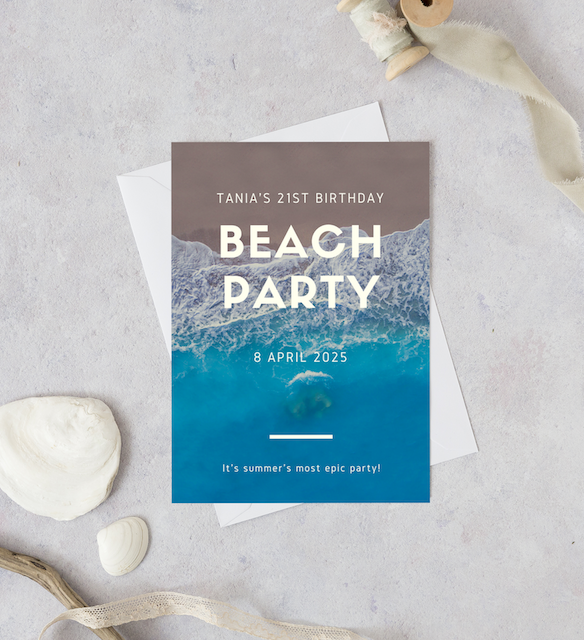 Featuring a background photo of serene waters, this design is the perfect fit for your summer festivities! 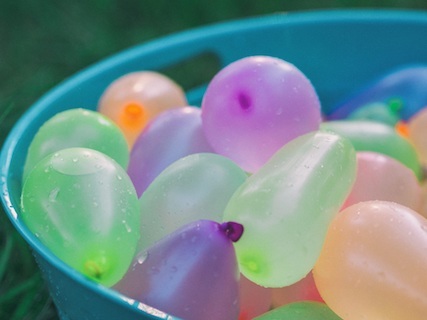 Make your beach party even more festive with colorful water balloons! Perfect for games and activities, these balloons will set the mood for a fun fête. 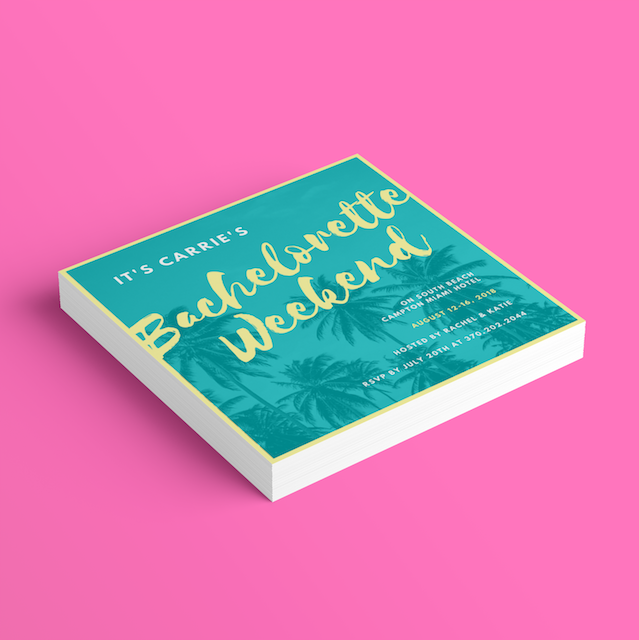 Get your friends together for an unforgettable bachelorette bash with this tropical-themed invitation! 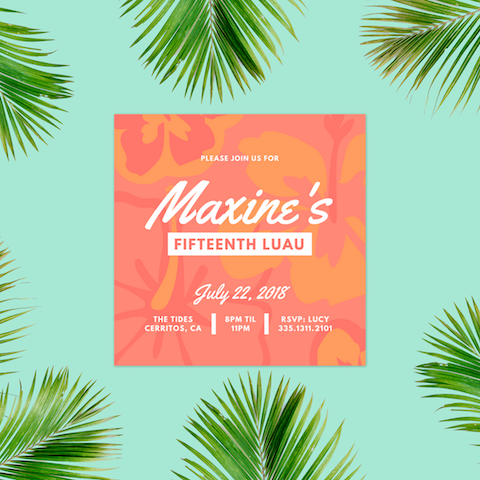 With its vibrant colors and background photo of palm trees, this design will hype everyone up for a fun party. 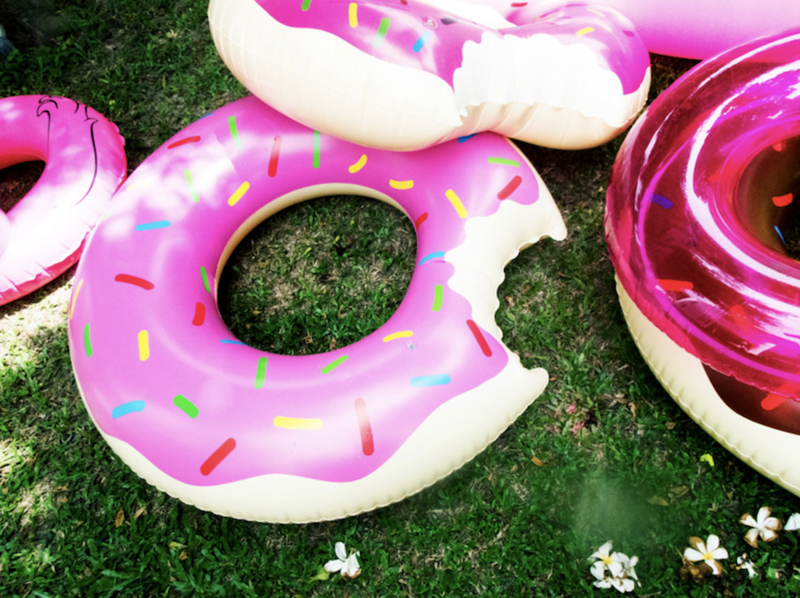 Let your party guests float on the beach in style with adorable doughnut pool floats. Get them in different colors and materials to make your celebration that much more fun for everyone! 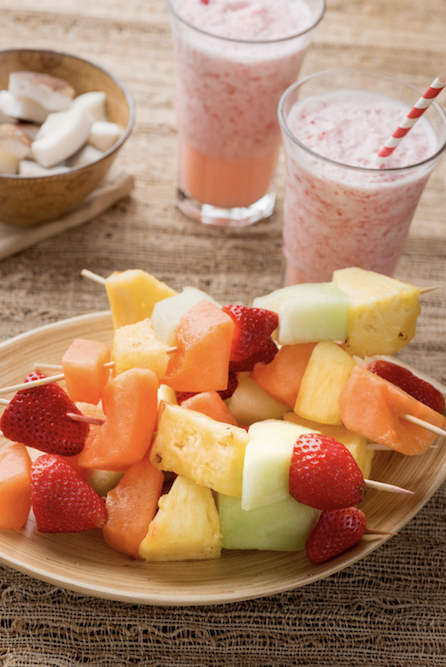 Take the healthier route with refreshing fruit kebabs and smoothies. Skewer different fruits on a stick to create a tropical-inspired kabob that’s perfect for your beach party! Serve up a mouth-watering spread of appetizers to give your party guests a taste of what’s to come! 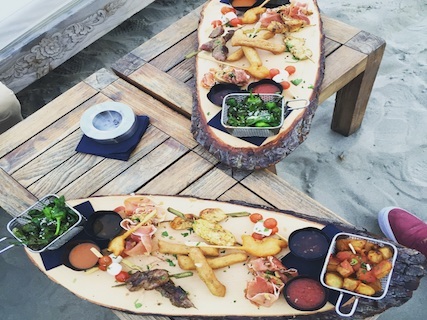 From finger food to savory dips, these artfully-arranged platters are sure to be a hit. 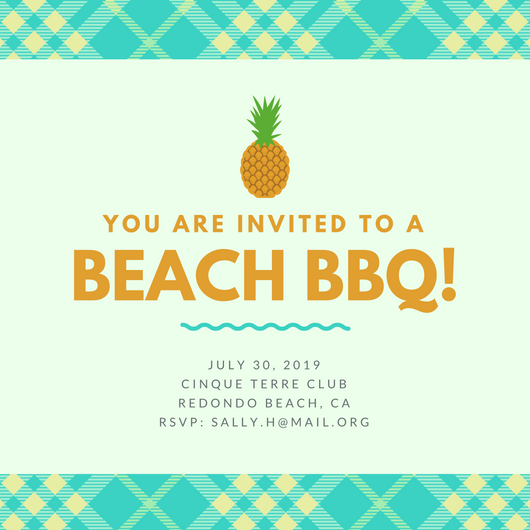 Don’t forget to bring along your beach essentials to your party! From sun hats to towels, these beach basics are perfect to keep you from getting too hot and sweaty. 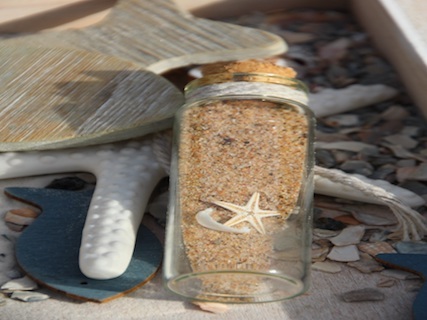 Beach-themed decorations and displays are as easy to make as they are pretty to look at. String together an assortment of lovely seashells to create this beach-themed curtain for your party! 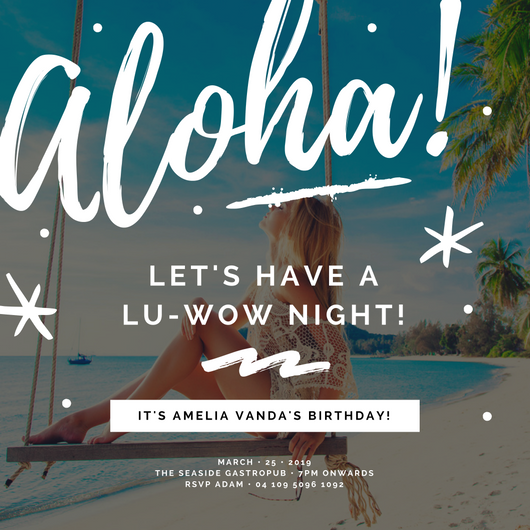 Set out a table full of party favors and goodies at your beach-themed celebration! 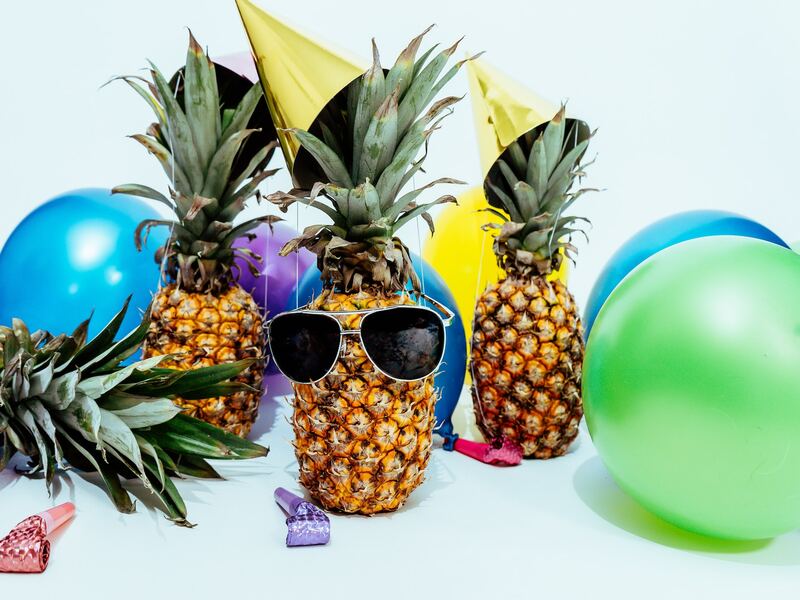 Bring out the pineapples and top them with festive party hats and cool sunnies. Salads are a great way to start a mouth-watering feast. Serve up a refreshing and healthy salad of fruits for your guests to enjoy. 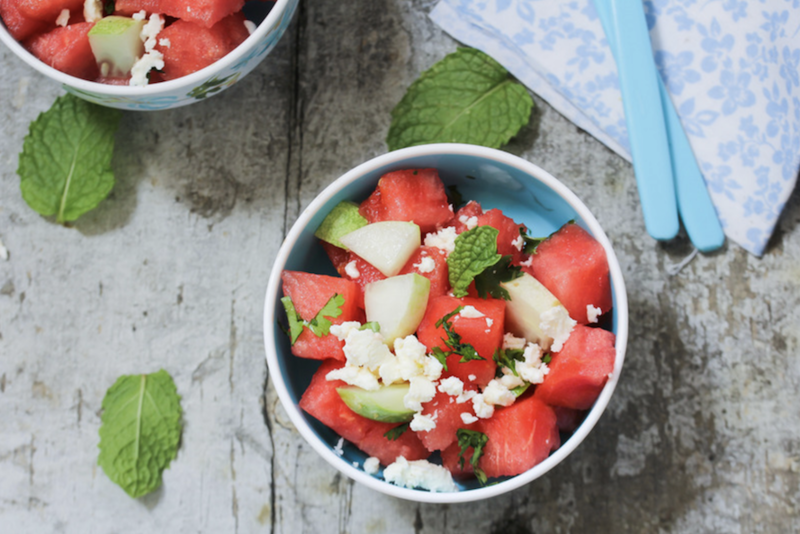 Toss in some feta cheese and mint leaves for that extra pop of flavor! 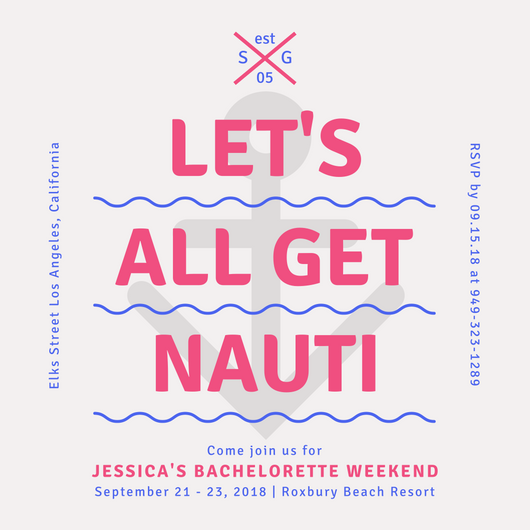 An epic party like yours needs an epic flyer to match! Modern and appealing, this excellent design draws in the eyes with its perfect pairing of white elements and a background photo of a stunning blue beach. 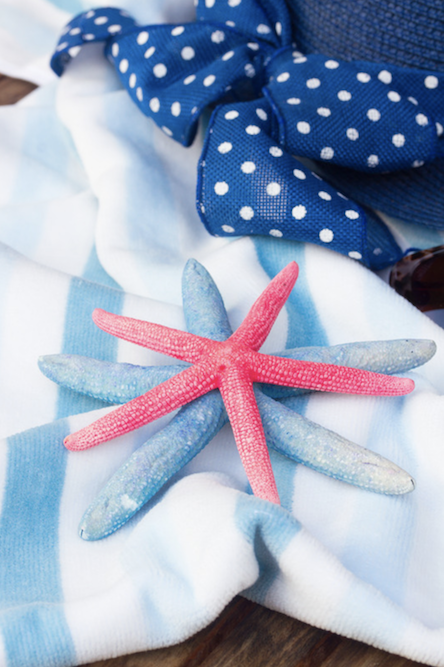 There’s no such thing as too many beach-themed decorations for your beach party. 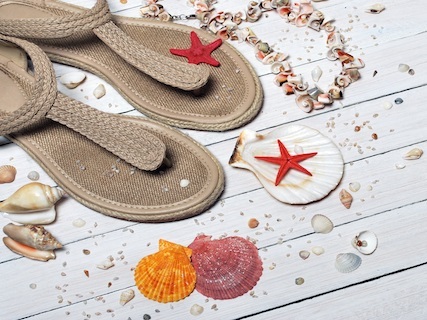 Gather seaside decor and crafts to create a beach-like ambience that’s perfect for your festivities. 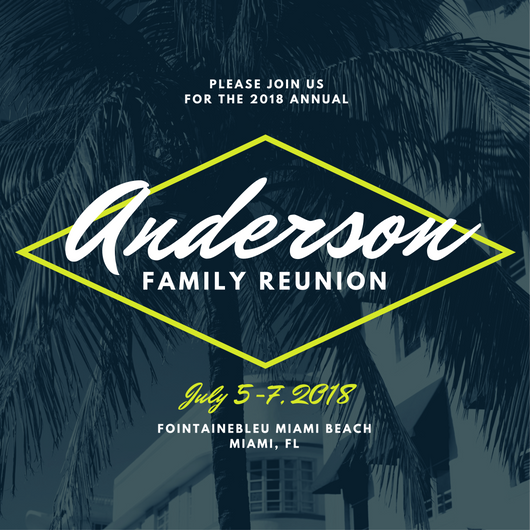 Get everyone excited for your upcoming festival with this flyer! 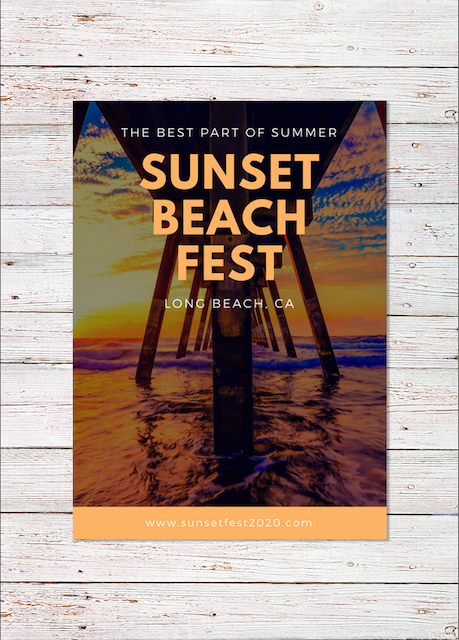 With its beautiful background photo of a sunset at the beach, this design instantly brings to mind pictures of fun summer days with your friends. 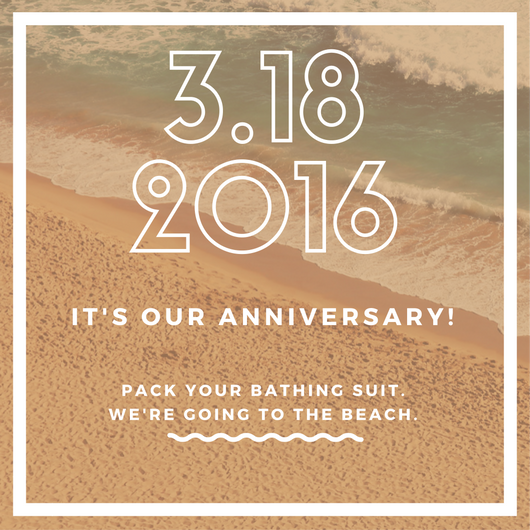 With this invitation, you can keep everyone’s lips sealed when you announce your plans for a surprise beach party! The combination of the hues and illustrations brings just the right amount of edge to the design. 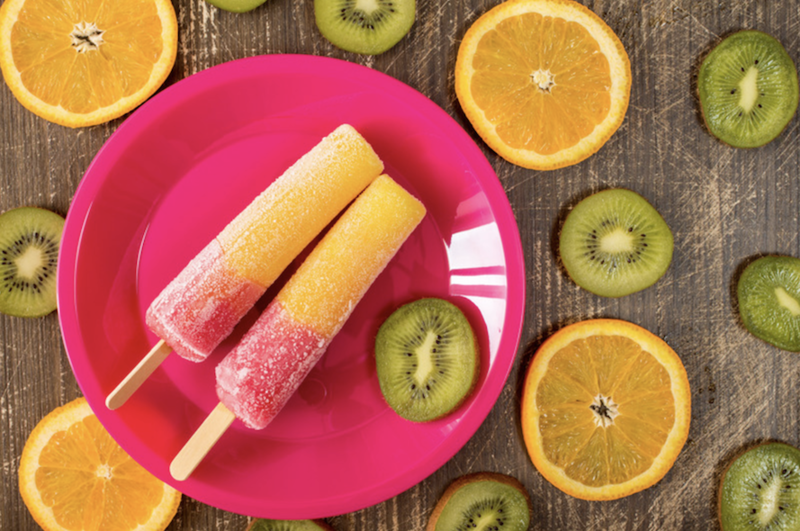 Serve up flavorful popsicles to leave your party guests feeling refreshed and satisfied at your beach party! Slice up some oranges and kiwis for that fruity flavor everyone loves. 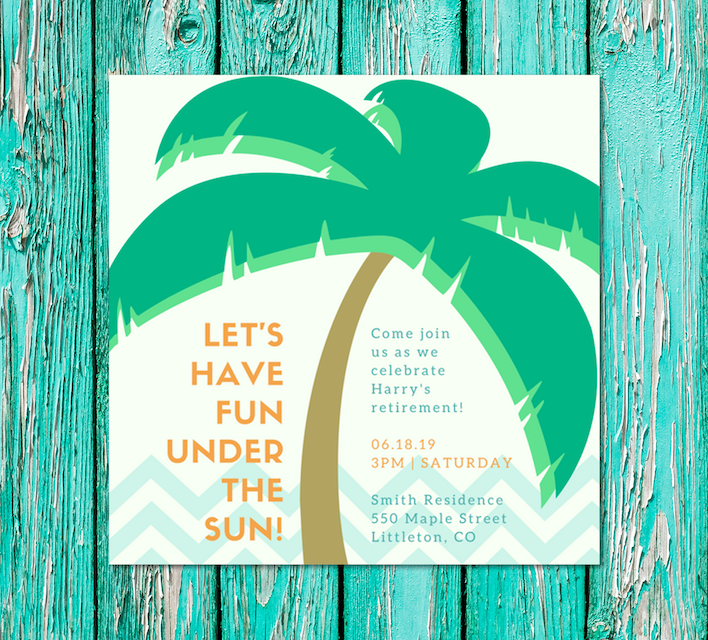 Have fun under the sun with your colleagues using this creative invitation. 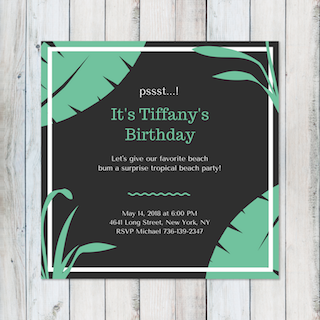 Featuring an illustrated tropical tree, this design gives off a beachy look that’s ideal for your celebration!